Charlotte Bailey, 25 years young. Freelance Videographer and Editor at CR Film. Based in Cannock Chase District. Contact for further info. 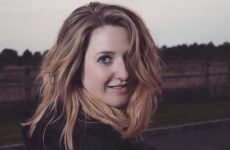 After graduating from the University of Plymouth in 2012 in BA (Hons) Media Arts, I set up as a freelance videographer, and editor in the West Midlands and now work as a community arts support worker - using digital media and film. The majority of my work at current is within the public sector. I work and have worked in partnership with various Secondary Schools on educational films, Cannock Chase Council, Staffordshire County Council and the WLCT within the field of Community Arts & Health. I hold half day and full day workshops, teaching Secondary children the basics of character design, storyboarding, editing and conventions within filmmaking. I am fully DBS checked due to my ongoing relationships with local Primary and Secondary Schools.